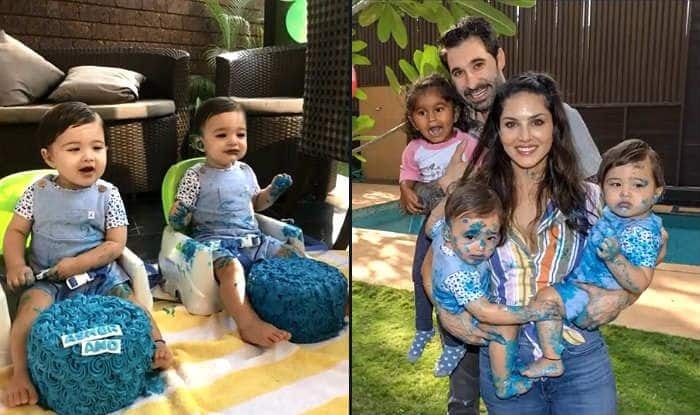 Sunny Leone posts an adorable video showing how she and her family are celebrating the first birthday of Asher and Noah. Actor Sunny Leone and her husband Daniel Weber are celebrating the first birthday of their sons Asher and Noah. Sunny posted a lovely birthday wish for her babies on social media and also shared a cute video clip that shows how the two babies so cutely destroyed their birthday cakes. Also seen in the video is baby Nisha Kaur Weber. The entire family looking all loved-up and beautiful. While sharing the video on Instagram, Sunny wrote, “Words can’t explain the feelings we @dirrty99 have for our family but I’ll try. The last one year with Noah and Asher has been one of the most amazing years of my life. Nisha is the best big sister Noah and Asher could ever have. You are the light of my life and the reason I want to wake up every morning. Your smiles, hugs, kisses, and even your cute crying and whining brings me joy! Happy Birthday to my two little bundles of joy!! My mantra to myself everyday to enjoy every sec I have with my family.